Last week we highlighted Premier Donaldson Romeo’s request he plans to make to the UN Decolonisation Committee later this year, asking the ‘Special Committee on Decolonisation (C-24)’ in Grenada, two weeks ago, to withdraw the 2012 request to have the British Overseas Territory removed from the list of territories which need to be decolonised. Over the past two weeks there has been much confusion which resulted in equally confused discussions. A ZJB news report says a local “historian and political commentator”, has thrown his full support behind the recent decision taken by the Hon. Premier Romeo asking for the withdrawal of the 2012 request to have Montserrat removed from the list of territories which need to be decolonised. Brown, who is well known for a very long time prior to the beginning of the volcanic crisis to be an advocate for Montserrat’s independence of Britain, pointed out: “Notwithstanding that I think he made a huge error, and I think what Mr. Romeo did was, ‘correct an error’,” he said. “Montserrat needs to remain on the UN’s decolonisation list until such time as Montserrat can exercise for itself through its population its right to self-determination,” he opined. 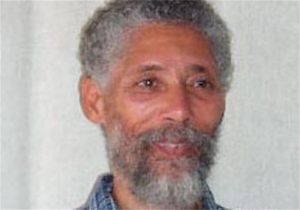 Browne, also a politician and who served in the Montserrat Legislature between 2001 and 2006, said that no leader unilaterally has that right to delist us. “If Montserrat is delisted the UK has no obligation to Montserrat as a colony listed on the decolonisation committee list; it doesn’t have those obligations that come under the mandate of the United Nations articles on decolonisation, if Montserrat is delisted. Once Montserrat is remains on that list then has obligations that it signed and agreed,” he said. In his presentation in Grenada, Premier Romeo had explained that by remaining on the list of territories which need to be decolonised Montserrat will be assisted in receiving much needed support through the work of the committee to which the U.K. government will be held accountable, under the legal force of the UN Charter Article 73, which much has been expressed and will be further explained, in the pages of The Montserrat Reporter and elsewhere for which sponsorship will be sought. Following this meanwhile, in another ZJB report, as the confused discussions continued, Browne has this time taken issue with Hylroy Bramble who presents a program ‘Labour Speaks‘ on ZJB Radio off and on for many years. He said that Bramble is confused and does not know what he is saying, suggesting all along that Bramble got it all wrong and misrepresented the facts. Browne speaking to ZJB referred firstly to the ‘misleading’ headline that appeared on the article about Romeo’s request. “The headline did say Montserrat wants to remain a colony. You have to understand the context within which the headline was written’,” he said.